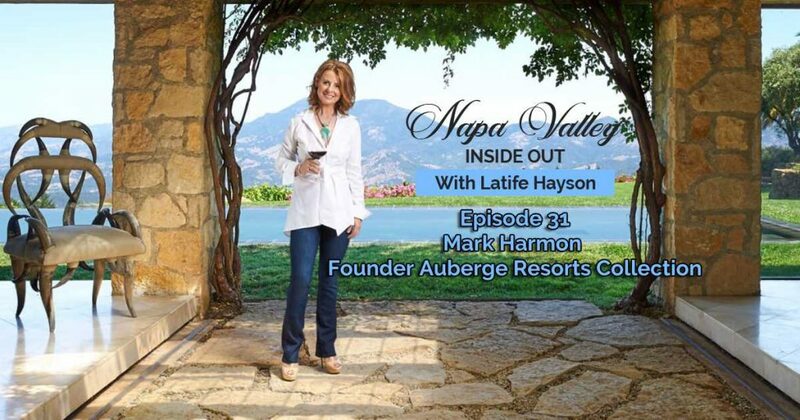 Meet Mark Harmon, Founder of Auberge Resorts Collection which has resorts in the US, Mexico, Costa Rica, the West Indies, Nicaragua, Greece and Napa Valley. His father, Bob Harmon, and his partner Claude Rouas were the Founders of the world famous Auberge du Soleil in Rutherford, Napa Valley, which started out as a restaurant in 1981. Mark shares the history of how that partnership evolved and how their highly successful restaurant led to the food scene that Napa Valley is famous for today. We hear about his family’s long and illustrious history in hospitality in Napa Valley. Mark tells us about his journey from lawyer to resort developer/owner, what he loves about the creative design process, hospitality and resort management. We talk about his enthusiasm for Calistoga, which began in the 90’s when he was knee deep in concept development and design for Calistoga Ranch and the development of Solage. You won’t want to miss Marks stories – from his first memories of Napa Valley, to the fun and adventurous life he has enjoyed in the valley along with his many contributions to our superb lifestyle here. And we get a little insight into what he is thinking he would love to do next.